The initiative kicks off with a training event in Chicago on April 10, coinciding with Equal Pay Day. 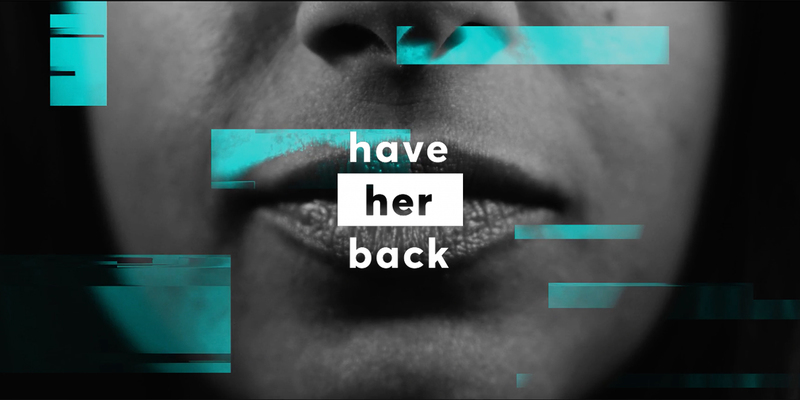 Golin, an integrated agency spanning public relations, digital and content, partnered with The 3% Conference, SheSays and EvolveHer today to launch a campaign calling on agencies to “Have Her Back” in the wake of the #MeToo and #TimesUp movements. 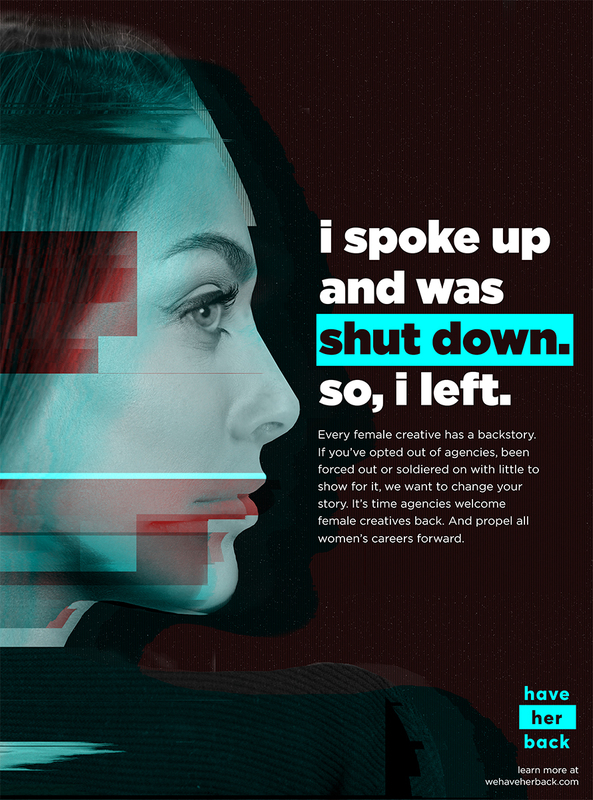 The effort begins with a powerful video and website tied to a twofold mission: supporting female talent and bringing ad women back into the industry after they’ve been ostracized for calling attention to sexual harassment. 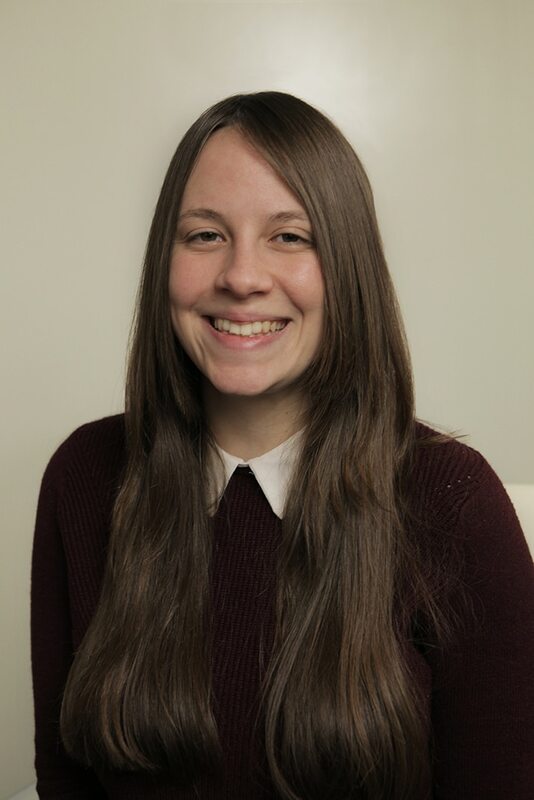 Caroline Dettman, the Golin chief creative officer spearheading the campaign, told Adweek that the women who appear in the video are computer-generated compilations of every female creative at the agency, with one character featuring Dettman’s hair along with someone else’s eyes, another woman’s nose, et cetera. Dettman said she wants to unite all women in the industry in creating one shared story, explaining that when #TimesUp and #MeToo gained steam, all women—”no matter … [who] you are or what you do”— could relate to it in some way. “For me personally, I kept thinking: ‘Our industry is a mess, and when are we going to stop talking and actually start doing something? '” she said. Dettman then asked herself another question: Why shouldn’t she be the one to get the ball rolling? According to Golin, the larger Have Her Back initiative has three goals: to hire more female creative directors in the hopes of eventually doubling their representation; to train employees on proper workplace conduct; and to create a culture of empowerment for all. The initiative kicks off with a training event in Chicago on April 10, coinciding with Equal Pay Day. There, Have Her Back and The 3% Conference will co-create “Manbassador” sessions designed to help men figure out how they can support their female colleagues and work alongside them as activists for change. Dettman said that, while today’s video was handled by all-female creatives, men are equally supportive of the overall Have Her Back initiative. Dettman also praised IPG, Golin’s parent company. “When I came to them with this idea, they were 100 percent supportive … It’s incredibly positive [to see],” she said. 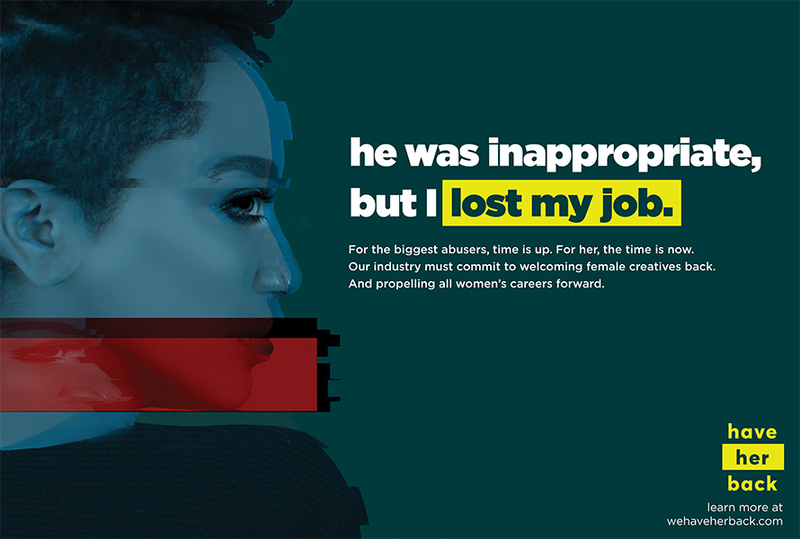 IPG was directly involved in what has been perhaps the largest ad agency #MeToo story to date when The Martin Agency fired chief creative officer Joe Alexander while investigating sexual harassment complaints against him just over a month after holding group CEO and chairman Michael Roth declared a zero tolerance policy for harassment across his company. The Martin Agency has since moved forward by replacing Alexander with Karen Costello, hiring Kristen Cavallo to succeed ousted CEO Matt Williams and doubling the number of women on its executive committee.